Development of standards for acceptable management of risk to conservation values and a clear demonstration that they can be met with a very high level of confidence. The Greens WA were opposed to the construction of a gas plant and associated infrastructure on Barrow Island, largely because of the environmental impacts. The State’s own expert advice establishes that the proposal was not sustainable on environmental grounds. According to triple bottom line criteria, this should have automatically ruled the project out. There was no sense in which other factors can ‘balance’ out the environmental unacceptability of the proposal. 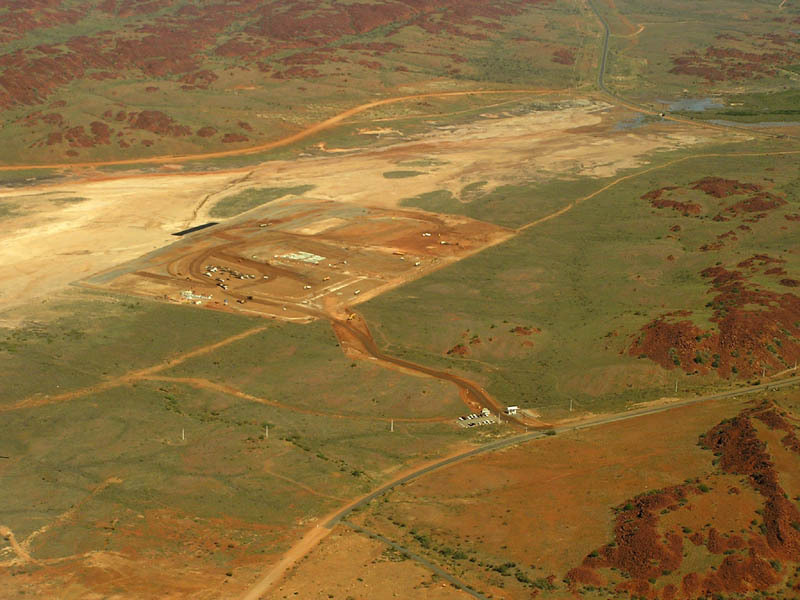 The EPA, in 2013, granted Chevron a further licence to destroy Barrow Island through an expansion of its State Agreement Act lease for the Gorgon project. This is smoke and mirrors on the part of Chevron – we know that they have already used the WA Oil Pty Ltd tenements to expand their operations, almost doubling their footprint. The EPA is reneging on its 2006 findings, in which it claimed that expansion would be environmentally unacceptable due to the risk of introducing non-indigenous species. With 39 minor breaches, two major breaches and five critical breaches of quarantine, the situation is fast becoming a disaster. Barrow Island is roughly 92 square miles in area and is situated approximately 60 miles by sea from Onslow. The island and the surrounding waters were included in Permit to Explore No.16OH granted to Australian Motorist Petrol Company Ltd. or Ampol Petroleum Ltd. in 1947, but were excluded from the subsequent permit No.29H1 granted to West Australian Petroleum Pty. Ltd. (WAPET) as they were within the prohibited area defined by the Commonwealth Government under the Defence Act for the atomic tests carried out on the Monte Bello Islands. The island was restored to the permit in 1956 and the surrounding waters in 1963. In 1954, two company geologists, Dr. J.R. H. McWhae and Mr. J. C. Parry, made a brief visit to the island with Royal Australian Navy officials and were able to demonstrate for the first time that a possible oil-bearing structure-described geologically as an "anticline" was present in limestone rocks exposed there. In 1966, the Commonwealth Bureau of Mineral Resources flew a single aeromagnetic line over the island and this suggested that a thick sedimentary section was present, thereby upgrading the oil prospects. Also in 1956, two company geologists, Mr. S.P. Willmott and Mr. I.R. Campbell made a brief geological survey of the northern end of the island and confirmed the existence of the anticline structure. Little further work was done until 1962 when the newly formed Petroleum Division of the Geological Survey Branch of the Mines Department strongly recommended Barrow Island as a good oil prospect, which warranted drilling. Following a conference between departmental and company officials, at which this recommendation was presented, the company arranged for a detailed geological survey to be made of the island. This was carried out by two company geologists, P&D.N. Smith and Mr W. Koop, and they confirmed that a fold which could hold oil, described geologically as a "closed anticline" was present at the surface. In 1963, the company was granted a Permit to Explore No.217H in substitution for permit 2911 and the company landed a seismic crew on the island. A seismic survey was carried out in conjunction with the construction of an airstrip, and barge-landing facilities in anticipation of drilling in 1964. In May 1964, the company acquired License to Prospect No.113H and upon the arrival of drilling equipment; Barrow No.1 Well was spudded on the 7th May, near the crest of the anticline. Numerous oil and gas showings were recorded while drilling. In June, the well produced gas at the rate of 7.000,000 to 11,000,000 cubic feet per day, and in July, a flow rate of 985 barrels of oil per day was recorded from the deep Jurassic formations between 6,200 and 6,700 feet. The Jurassic formation is the name of a geological structure and these formations are approximately 140,000,000 years old. Between July 1964 and September 1965, eight additional wells were drilled and during the following five months another 14 wells were drilled to the shallow Windalia formation in the vicinity of 2,000 feet. The Windalia formation is, similarly, a geological expression for a formation, and this occurs at Barrow Island at approximately 2,000 feet. Wells Nos. 24 to 28 were drilled to deeper formations between February and August this year and of the 28 wells drilled only two have failed to produce oil or gas, or both. Five producing zones have been established, of which the shallowest and most extensive occurs as thin sands in the Windalia formation at about 2,000 feet. The Windalia field covers an area of approximately 39 square miles and while it is conservatively estimated that it will yield 85,000,000 barrels of oil, this could be increased by new techniques. Additional production may also be obtained from the Jurassic zones. On the 26th May 1966, the company announced it would develop the field commercially and expected that 240 wells were required and that production was to commence in May 1957; initially at the rate of 9,000 barrels per day, but with a possible increase to 20,000 barrels per day in two years. The construction of production facilities included pipelines, separator stations, tank farms, and a sea terminal some six miles off-shore to the east, and connected by a 20-inch submerged pipeline. The pipes for the line were manufactured and cement coated at Kwinana and shipped to Barrow Island where they were built into 2,000 feet long sections, floated out to sea, and then sunk into position on the ocean bed. In the main, the line will rest on the ocean bed, but where deep channels have to be crossed (one was at least 3,000 feet wide) there was a possibility of the line being damaged by water turbulance in cyclonic weather, and so in these places the line was anchored to the rock bottom. At the terminal, tankers will tie up to mooring buoys and will load the crude oil through flexible hoses connected to the submarine pipeline. The loading rate was to be between 10,000 and 15,000 barrels per hour (a barrel contains 35 imperial gallons) and in the initial stages it was expected that two tankers of not less than 125,000 barrels each were be loaded per month. The storage capacity on the Island comprises two tanks, each with a capacity of 200, 000 barrels. In November 1965, the Hon. A. F. Griffith (Minister for Mines), acknowledged that Barrow Island was being explored for gas and oil and that 14 holes had been drilled. The company found that most of the productive zone on Barrow Island was at the lower level, something in the order of 200 feet to 2,300 feet. At that time, the government hoped that Barrow Island would develop into a commercial field for gas or oil. In May 1966, WAPET made a decision to go ahead with the development of Barrow Island as Australia's third, and biggest commercial oil field. In October 1966, it was identified in answer to a question that the Government's desire was that any oil produced in Western Australia (WA) should be processed in WA. 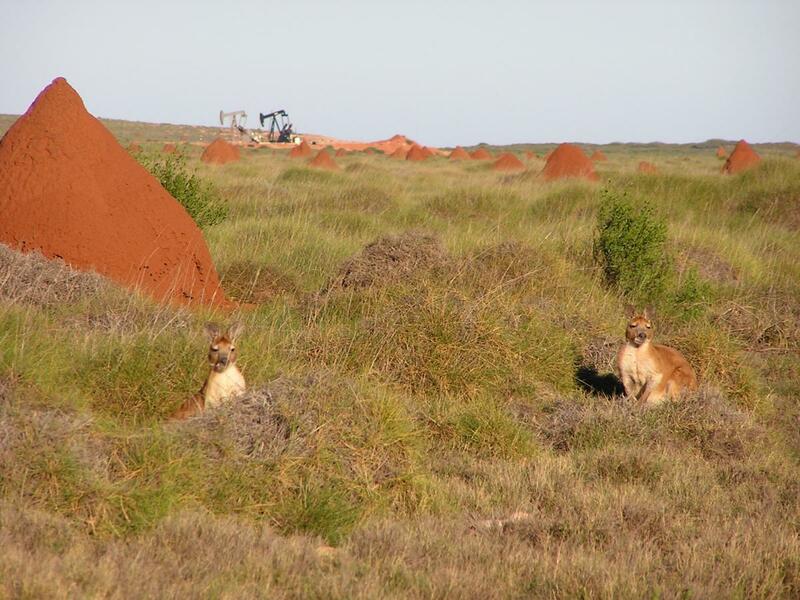 The matter of processing Barrow Island oil in WA was discussed with WAPET. On 17 November 1966, the Petroleum Act Amendment Bill was debated for the first time. The reasons for the amendment were that WAPET held a permit and a license in respect of exploration of Barrow Island, and had announced that the field they had discovered around the Island would be developed commercially, and sought petroleum leases. The fact that the island had been reserved as Class "A" for the protection of flora and fauna threw some doubt on the legality of the permit and license, and of the power to grant petroleum leases. Therefore, because of the great importance to the State of the oil strike at Barrow Island, and because of the very considerable investment by the company, it was decided to place the matter beyond doubt by statutory enactment. The Bill made provision for the reserve on Barrow Island to be and always to have been Crown Land for the purposes of the Act, and to validate the company's permit and license, but otherwise not to vary the purpose for which the reserve was created. The Bill also provided for the imposition of conditions on any permit, license, or lease to protect flora and fauna.